Beidh turas amháin á dhéanamh ag an bus scoile ó maidin amárach ar aghaidh 1/08/2015 . Beimíd i dteangabháil libh má thagann sóinseál ar seo. From tomorrow morning 1/08/2015 onwards there will be one bus route servicing the school. The same pick- up and drop-off times as last year will apply. Tá físeán den cluiche cheannais iománaíochta Sciath na Scol 2015 ar fáil. A DVD of the Sciath na Scol hurling final 2015 is available to buy. Details above. Tá fáilte romhaibh teacht chuigh na scoile ar an Mhairt an 8ú Meán Fhomhair 2015 ag a 6.30 chun cruinniú a bheith agaibh le Múinteoir Ciara agus chun bualadh le tuismitheoirí eile. You are very welcome to attend a meeting in the school on Tuesday September 8th, 2015 at 6.30. This is a nice opportunity to meet other parents and get some information on the year ahead from your child's class teacher Múinteoir Ciara. All concerns/questions should be addressed to the school transport office in Cork. Beidh éide spóirt á chaitheamh ag na páistí gach Luan agus Aoine. Seans go dtiocfaidh athrú ar seo i rith an scoil bhliain. Until further notice the children should wear their sports clothes on Mondays and Fridays. The days in question may change during the course of school year. Fáilte mhóir roimhaibh that nais go scoil bhliain nua! Tá an scoil 9 mbliana faoi bhláth i mbliana agus táimid ag súil go mbeidh i mbliana mar an bhliain is fearr fós againn sa scoil! Rang a 2: Múinteoir Siobhán Ní Bh. Rang a 6: Múinteoir Siobhán Ní N.
Múinteoir Máiread ag déanamh Acmhainn agus TF. Tá beirt múinteoirí tacaíochta fós le teacht. Idir an dá linn tá Máiréad ar fáil chun aon bhuairt i leith tacaíocht atá agaibh a fhreagairt. Ba mhaith liom an deis seo a thógaint agus fáilte mhór a chur roimh cailín nua a thosaigh i rang a 4 inné. Ciara is ainm di, thánaigh sí chughainn ó Gaelscoil eile i gCorcaigh. Chur an rang an fháilte roimpi , maith sibh a phaistí! A big welcome back to you all! This is the school's 9th year and we are hoping that this is going to be our best year yet! Múinteoir Máiréad : both Resource and Learning Support teacher at present. There are 2 support teachers yet to join the staff. I will update you on this as soon as I have to information to hand. Until such time as we have a full support team in place Máiréad is available to answer any queries you may have regarding extra support. I would like to take this opportunity to welcome to a girl who started in 4th Class yesterday. Her name is Ciara and she has joined us from another Gaelscoil in Cork. The class gave her a fantastic welcome. Maith sibh a phaistí! Meabhrúcháin : Ní bheidh an bus scoile ag fáil ar an nDéardaoin an 27ú ná ar an Aoine an 28ú Lunasa 2015. Reminder : The school bus will not be available on Thurday 27th or Friday 28th of August 2015. ​Tá súil againn go bhfuil sibh ag baint sult as na laethanta saoire. Molaimíd na leabhair a cheannach comh luath is gur féidir libh, roimh na sluaite. Tá siad ar fáil i High Street Books, Liam Ruiséal, Easons, schoolbooks.ie agus a lán áiteanna eile. Mar is eol daoibh, caithfidh tuismitheoirí Naí. Bheaga a leabhair féin a cheannach, cosúil leis na ranganna eile. Déan cinnte go bhfuil sibh ag féachaint ar an liosta ceart! Bí cinnte go bhfuil ainm do pháiste ar gach leabhair, cóipleabhar agus peann srl. go háirithe sna naí. ranganna. Ranganna 1-5- Déan cinnte go gceannaíonn tú Fuaimeanna agus Focail do rang níos sine e.g. Beidh rang a 1 ag úsáid Fuaimeanna agus Focail do Rang a 2, srl. Ranganna 4-6 - Tá roinnt ceangláin fáinne fágtha ar scoil, cur ceist ar do pháiste sula gceannaíonn tú ceann nua. We hope you are enjoying the Summer holidays. Those of you who have not purchased school books yet, we advise you to purchase them soon before all the panic and queues. They are widely available, in such shops as High Street Books, Liam Ruiséal, Easons, schoolbooks.ie and many other shops and websites. Please put your child's name on all books, copybooks and pencils etc. especially for the junior classes. 1st-5th Class- Please be aware that with Fuaimeanna agus Focail, we use the next- class- up workbook e.g. 1st Class use Fuaimeanna agus Focail for 2nd class, etc. 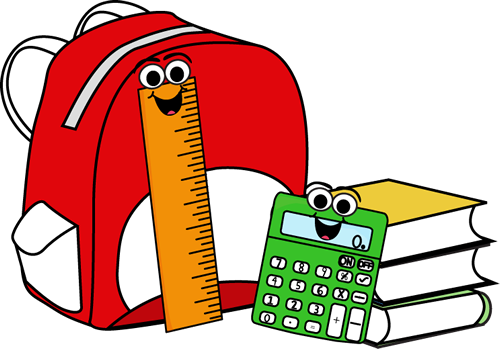 4th-6th Class- Some of your ring binders are at school, please check with your child before purchasing a new one.